Alexandria Galea doesn’t mind a yarn. She grew up on a cotton property in central Queensland and while she admits she didn’t have an instinct for farm work, she did develop a love of sharing stories from her farming background. This love of sharing and storytelling led her to a degree in secondary school education. For generations my family have been working on the land. The family tree has gotten its hands dirty in many fields starting in horticulture on the Mediterranean island Malta and dry land cropping in South Australia. Today some are growing sugar cane or rearing cattle. In the mix I have grown up in the Central Highlands of Queensland on my parent’s irrigation property where we grow cotton, grains and pulses. Despite coming from these blood lines I never quite inherited the nature of the typical country girl. I blissfully ignored practicality and sun safety to rock getups that only the Spice Girls could pull off around irrigation ditches or cattle yards (at least I was easy to spot). Although I was never hard to find as you could hear me a mile away yelling for help when bogged or caught in such a good yarn with the calves that I’d walk straight into the backside of a cow. Enough said farm work was not quite my strong point but I loved it. As I grew up I realised I had a passion for collaborating, sharing and learning with others, in particular youth, or what others would call an interest in talking the ears off somebody. With this in mind I set out to become a teacher. Following high school I spent my time split between studying a Bachelor of Secondary Education and working in agricultural businesses. Working in agriculture started as a necessity to pay for the hefty bills of text books and late night educational excursions at university to become a real joy which I looked forward to. 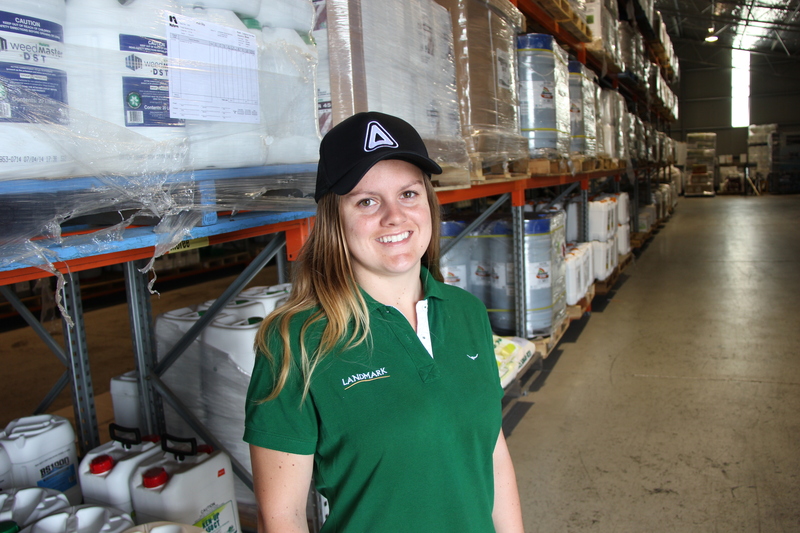 I got to experience a range of jobs from working with agronomists bug checking, accounting and supplying growers with products. Most importantly I got to have a good yarn with a diverse range of people within the industry. I found this work very interesting and rewarding, it opened my eyes to the magnitude of careers in agriculture which are not locked within the boundary fence of a farm. For the first time I could see how I (the not so intuitive farm girl) could be involved in an industry so close to my heart. I enjoyed liaising with farmers, the mix of working in the field and in the office, understanding the science behind growing plants and the ability to see a range of crops across a vast area. I was half way through my teaching degree when I realised that I also wanted to be studying agriculture. This greatly excited me to think of all the pathways I could take. Upon graduation of university I had the opportunity to work in the classroom however I turned to the field to gain more experience and exposure to agriculture. 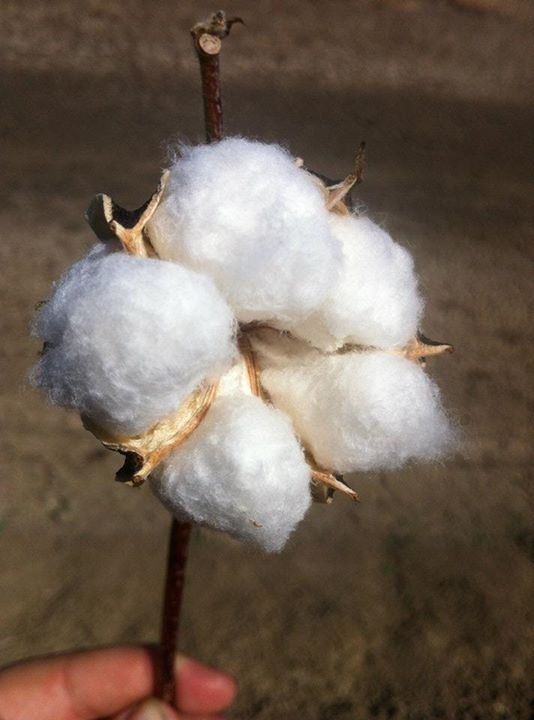 I was fortunate to be able to take on a role as a sales agronomist with Cotton Growers Services. Working in agriculture is full of challenges to overcome in particular managing climate constraints. In this role I had the pleasure of facilitating educational workshops at the Emerald Agricultural College to give students exposure to and broaden their knowledge of different types of crops, roles within farming and a range of technologies. In this space I am the most excited, it is a feeling of its own to open the eyes of another especially about farming. My path in agriculture has only just began and I am very excited to see where my sparkling boots take me and for the yarns to be had! All are welcome to join. Today it gives us great pleasure to introduce you to Casey Onus …………. Hi my name is Casey Onus and I am 22 year old Agronomist from Tamworth in NSW. Despite being a “Townie” my whole life I was born for a career in agriculture. I attended my first agronomy meeting chaired by the infamous Dallas Parsons at Seed & Grain Sales at Croppa Creek on the morning of the 8th of January 1993 at 0 days old and was born later that afternoon at Goondiwindi base hospital. Despite living in town my whole life I spent a fair chunk of my childhood with my father bouncing around paddocks being paid with lollies to identify weeds and weaving my way through what seemed like forests of cereals and sorghum, trying not to lose myself down Moree’s heavily cracked black soil plains in the process. Throughout school I never really focused on what I wanted to do as a career. 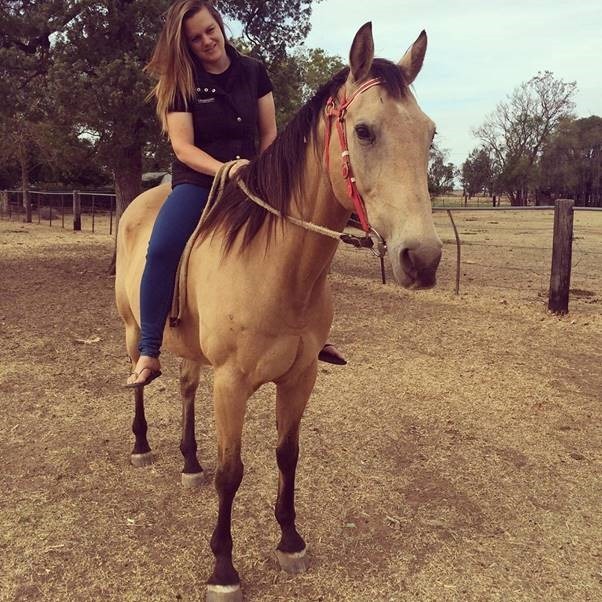 I assumed at age 12 that I was going to be member of the Saddle Club and that would be my job, but I quickly realised that wasn’t going to happen. In years 9 & 10 at St Philomena’s we had the option to pick our elective subjects and being the outdoors kid that I was I picked Ag because I didn’t want to be stuck in a class room for any longer then I had to be. I was fortunate enough to have a very passionate Ag teacher who really made me see how important agriculture was not just to me but everyone, if you had to eat or wear clothes then you needed something from agriculture. I was lucky enough to not only enjoy Ag as a subject but also turn that enjoyment onto results which saw me win the Dallas Parsons Memorial Agricultural Award in year 10 as well as taking out the CMA property planning competition on “Nullamanna station” in 2008. During year 10 I also attended a Rotary Youth in Ag Cotton camp which really opened my eyes to how big the cotton industry is and the endless opportunities that were available to someone like me. I got so much out of the camp that I volunteered to help in the running of the camp in subsequent years and ended up presenting the marketing and moisture management sections of the camp. It was great to see so many young people, especially from costal backgrounds coming along to see what the local cotton industry was about and if they took away half of what I did from the camp then it was well worth the time and effort. During years 11 & 12 at Moree Secondary College I unfortunately didn’t have the option to study agriculture as a subject as there were simply not enough students at my school for it to run. This didn’t concern me overly until it came down to crunch time. All of a sudden I was headed for the HSC with no idea of what I was going to do at the end of it. As luck would have it I was offered a job as a bug checker by the branch manager at Landmark in Moree over the holidays. I spent endless hours out in the cotton fields getting muddy, bitten, sunburnt and couldn’t have loved it more. Although my father is an agronomist I wasn’t convinced that all agro’s loved their job as much as he did but this cotton season showed me exactly how rewarding it was. I got to see the tiny plants that I’d checked for months on end finally produce these white fluff balls of gold and that was a feeling of satisfaction that I couldn’t find elsewhere. White fluff balls of gold! I applied to study a Bachelor of Agriculture at UNE in Armidale and decided I was going to chase my dream of becoming an agronomist. Uni is hard and I certainly lost count of the amount of times I wanted to throw in the towel, but heading home for cotton season kept me going and rekindled my motivation to get me through another year. 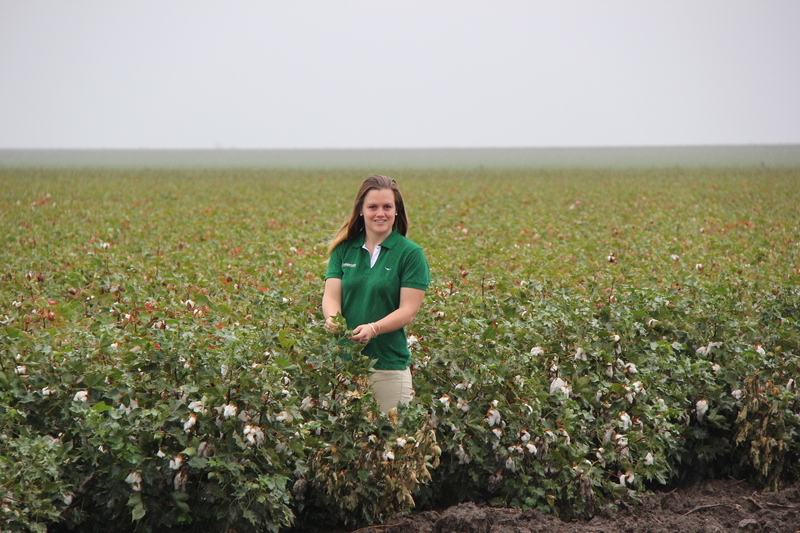 I completed the UNE/CRDC Cotton Production Course as part of my degree and even managed to get an article “finding cottons next generation” published in the 2013 Cotton Grower magazine yearbook. Despite only having one unit left to complete as part of my degree I applied for the Landmark Graduate Agronomy Program and was accepted for a position in Tamworth, under the watchful eye of their agronomist Cameron Barton. Despite already working for Landmark for 3 years, my graduate year taught me a hell of a lot at an incredible pace. 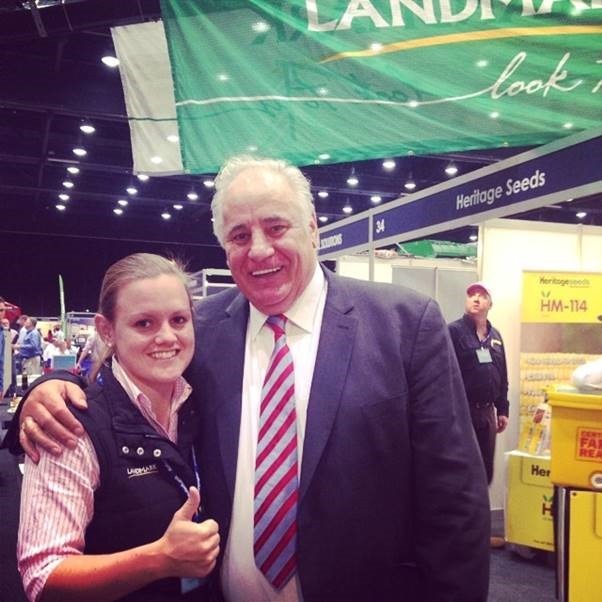 I managed to squeeze in a trip to the 2014 Cotton Conference thanks to a scholarship funded by Cotton Australia. I also flew to Albury with Heritage Seeds to learn about pasture systems and varieties and learnt a lot from countless field days and industry updates. As well as joining the local Duri Ag Bureau and taking on my own clients with a range of new crops, not just the cotton and broadacre crops I was used too. All of a sudden I was trying to grow ryegrass not kill it! 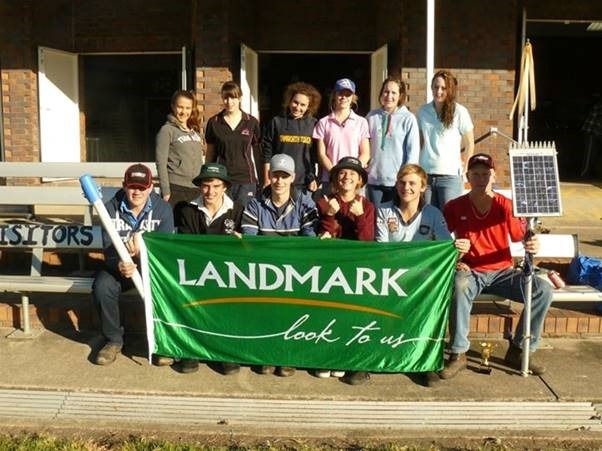 I was lucky enough to stay on at Landmark Tamworth and am now a fully-fledged agronomist working with a great group of farmers from all backgrounds as well as providing precision agriculture services such as NDVI imagery, variable rate maps, capacitance probes and everything in between. 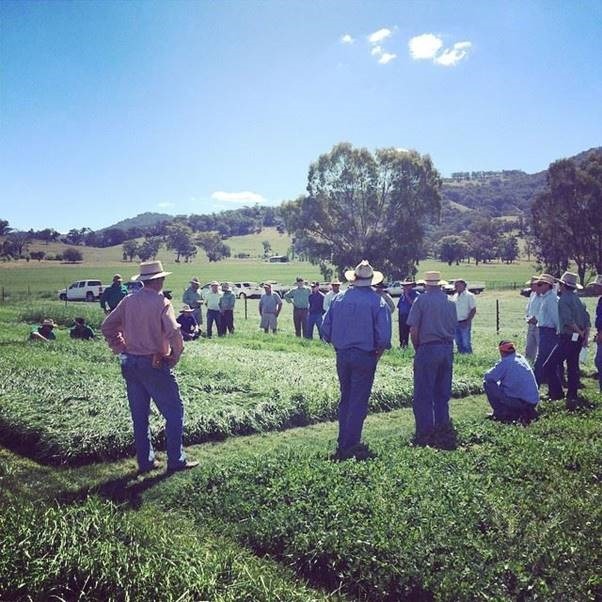 Growers attending our pasture demonstration trial walk at Woolomin. Confucius says “Choose a job you love, and you will never have to work a day in your life” and I firmly believe he was talking about jobs in Australian Agriculture. Because I certainly haven’t “worked” a day in my life yet. Precision Ag (PA) is no longer the complex and expensive exercise that it used to be. There are many products and even in-built features in today’s farm machinery that are sitting there on-farm just waiting to be used. Did you know most tractors and headers these days already store data automatically? Most people don’t. A lot of farmers are aware their machines are collecting all this data but they don’t know how to access and use it. That’s where I come in, one of the more technical sides of my job involves spending a bit of time in the office to utilise technology to help growers and myself make better on farm decisions. As farmers are driving their GPS guided farm machinery through the paddocks a lot of them are already (or can easily be set up for) collecting various information. Such as grain yields and changes in elevation across the paddock. As the machine is going along its packaging this data and tagging a gps point with it. This means we can tell exactly how much grain has been grown in certain parts of the paddock and even look at how high or low that exact same spot is compared to the rest of the field. There is only one thing farmers love more than rain, and that’s making money so they can keep on doing what they love. By collecting all this information we can help farmers manage parts of their farm and even parts of their paddocks separately. 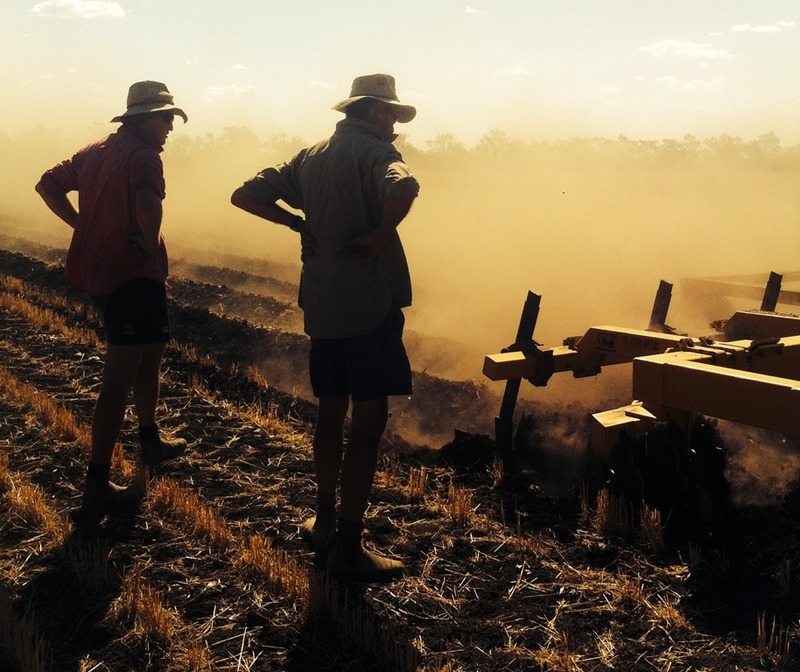 This means money in the form of seed and fertiliser can be spent on the parts of the paddock that are more likely to grow more grain and make more money. The very first step is mapping the growers farm so we know exactly how big each paddock is, and this provides us with a base map on which to overlay all that data and information. There are several ways of using PA and this will vary greatly depending on what the farmer wants to achieve. The two main ways I currently use Precision Ag as an agronomist is by processing on farm-yield data and satellite imagery. To make this as easy as possible for the farmers I need two things from them. 1 – their time, half an hour, to map their place so I know what im working with. 2 – The data from their machines, usually a usb or equivalent simply removed from their machine post harvest and dropped into the office. Growers bring in the data information card from their header/picker/tractor etc. This provides me with the data I need to unravel and turn into something useful. I start by removing any faults in the data, areas where headers have; changed speed dramatically, turned around, etc. as these influence the end result and can throw out the data. I then adjust the data to represent what has actually happened, this involves adjusting the total tonnes of grain recognised by the header to then represent the total that was physically removed from the field. Once that has been done we can then delve further into the data by creating elevation maps, multi year yield and temporal stability maps which can all be turned into management zones and variable rate application maps. Growers and agronomists select the pre-mapped paddocks that they require imagery for. Then I get to work placing an order utilising LandSat8 as well as a variety of other satellites or even planes to gather images depending on the type of imagery we need. I then receive an image (first one below) which is georeferenced for me to ground truth in the paddock. Once I have determined what is causing the variation in the paddock I can then divide the image into management zones. These management zones can also be converted into variable rate application maps. 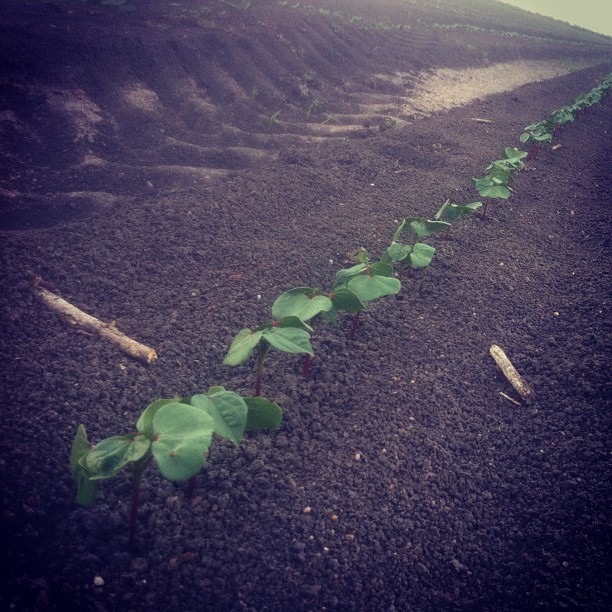 NDVI data is most useful in-season when a quick reaction is needed such as a variable rate application of growth regulators or nutritional products in cotton. Maps like these help growers to quantify gains and losses across variable paddocks as well as focus their inputs to areas that are more likely to provide a higher economic return. It can help us better manage; nutrition, irrigation, weed populations and even plant growth. The more data a grower has, the more reliable the management zones become which equates to increased productivity and profitability in the long-term.